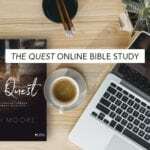 Welcome to Session 1 of The Quest online Bible study! We’re excited to start this journey of pursuing intimacy with God with you as we finish out the summer. 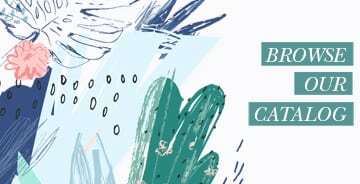 Over the next six weeks, we’ll explore questions and responses from God’s Word, learn to read and respond to Scripture, and spend time growing in intimacy with God through prayer. We can’t wait for all that these next few weeks have in store for us! 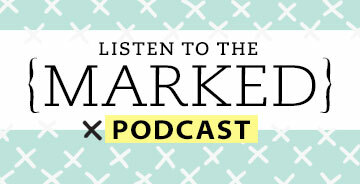 Each week, we’ll provide some questions to review and reflect on the previous week’s personal study. 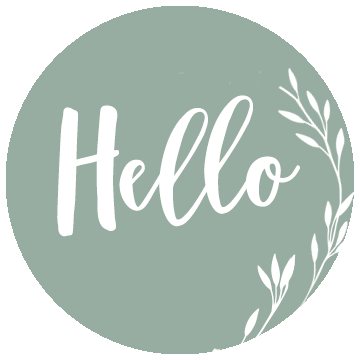 For this first week, we’ll simply ask some questions for you to get to know your fellow Bible study participants! Feel free to discuss those questions in a group, or you can answer them in the comments section of this post. Then, you’ll watch the video with Beth. The first and last videos are approximately an hour long. The rest of the videos are about 15-20 minutes long. Once you watch the video each week, we have questions for you to answer in your group or in the comments section of the post about the video content. We hope these interactions will be both challenging and encouraging! After the video, we will let you know the personal study assignment to do for the next week in your The Quest study journal. That’s it! As a reminder, this online study is six weeks long and is available to those studying together or going solo. 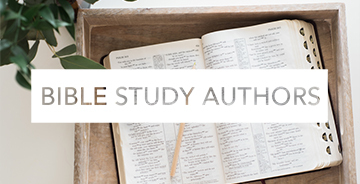 If you have teens that would like to participate in the study with you, they can purchase a teen study journal here and watch the videos posted here. 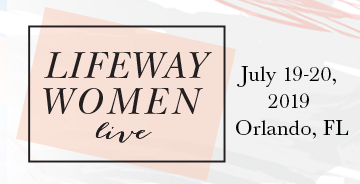 Be sure to follow @LifeWayGirls on Instagram to be a part of the conversation with other teens! If you have elementary-age children, we offer activity books that walk through The Quest‘s content. You can click here to view the Younger Kids Activity Book (Grades 1-3) and here to view the Older Kids Activity Book (Grades 4-6). These can be a great way to discuss the content of The Quest together as a family! 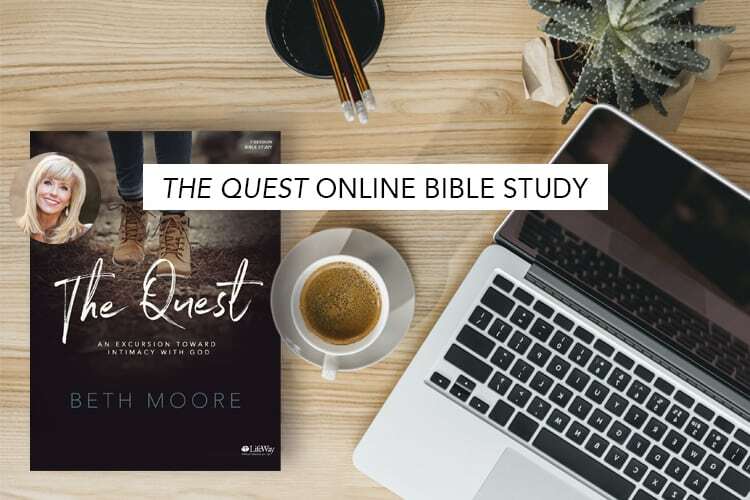 A note about the Bible study videos: We are giving you the complete video content for the The Quest online Bible study! We will leave all the videos up until September 30, 2018, allowing some breathing room for those who join in late or miss a couple of weeks. After that you can rent or purchase the video sessions here. Now that we’re all on the same page, let’s jump in to Session 1! Turn to the viewer guide on page 10-11 of your study journal to follow along with the Session 1 video. 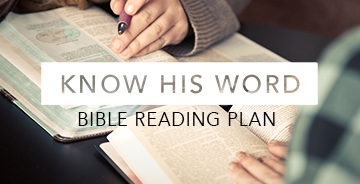 If you are a teen studying with us, you can click here for a PDF of the viewer guide to print out and fill in! What’s your name and where are you studying from? If you’re a teen, let us know how old you are! What does the phrase “intimacy with God” mean to you? Would you say you have an intimate relationship with God? Why or why not? 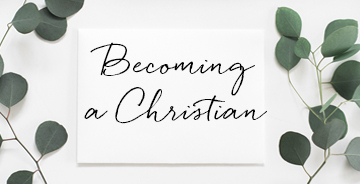 What does an intimate relationship with God look like? Before next week, complete Week 1 (pages 12-43) in your study journal. We’ll see you next time! 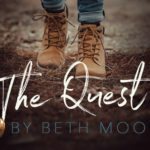 The Quest by Beth Moore | What’s Different About This New Study? 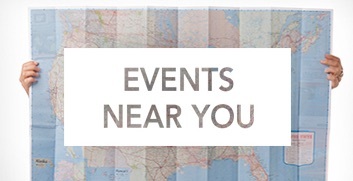 Is the Quest on the LPM app? Hi Carrie! We were only able to offer the videos for free for a limited time, but you are more than welcome to rent them here or purchase them here! We also just announced our next online Bible study on Job, so if you’d like to join us for that you can click here. We’ll be starting the first session of Job on January 10 and we’ll offer the videos for free for a limited time! I thought the videos would be up through Sept. 30th….but I can’t access them today. Please help. Hi Melody! Yes, the videos will be available through September 30. Sometimes certain Wi-Fi networks block watching YouTube (for example, offices). I’d recommend trying to watch from another Wi-Fi network or trying to open the videos in another browser. I hope this helps! Hi. Good morning all. My name is Rebecca, from Zebulon, GA, and I am very late to the party. I purchased this Bible study back in July, and then we moved, and I’m just now getting around to it. I’m going to rush through the videos before they’re gone, and work slowly through the book. So I’ll finally figure things out long after you all have gone, but I guess it’s better late than never. This study, for me, is yet another attempt to find God in my life and grow with Him, grow into relationship with him. My girlfriend looked it up an suggested that we check it out. 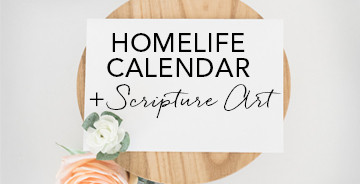 We used to lead Bible study together at our church, but have since gone our separate ways, and it is also a way for us to connect over God’s Word. My husband has always told me that ‘intimacy’ could also be understood as ‘into me see’, so intimacy with God, I guess, would be growing deeper in relationship, hearing from Him, talking with Him, learning from Him. I currently am struggling with my faith. I’ve probably been floundering for over a year. I ultimately know that I know that I know that ‘God’s got this’, yet I still flail and flounder and fight and fuss, and exhaust myself trying to be in control. I don’t know what is broken…well, yes I do. I don’t spend intimate time with God, in His Word, talking to Him, listening to Him. I’m ‘too busy’ doing life. This is my start to become close with God once again, to learn from Him, to lean on Him, to trust Him, and to hear from Him, to share everything. I was particularly moved by the reminder of Beth’s tweet that she received from somebody, the one about ‘anxiety is our agitated soul scrambling for control.’ This really spoke volumes, as I have struggled with anxiety under the illusion that I have some semblance of control in my life, only to realize I have none. I also was able to relate the the comment regarding being drug to heaven kicking and screaming because it was better than hell. Or like my Pastor says, getting my fire insurance. I don’t want to go to hell, but I am dragging my feet about heaven. Don’t know why. As a believer, I should be excited about my future, but yet I fear the future. This is one of the things I hope to uncover and work through during this study. My girlfriend used the Quest study on her own over the summer and recommended it to our study group.. I was intrigued by the five questions. They penetrated my sceptical self. I’m also a little burned out with too much to do, too many concerns, and not enough intimacy with my LORD. My husband and I have been waiting for the next move now that the kids are all out of the house. Thought we knew where he was leading but everything’s gone quiet. So even though this is almost the end of the free videos, I’d like to do this study too.